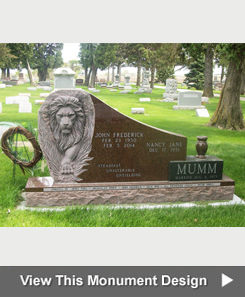 Iowa Memorial Granite Company, based in Muscatine, Iowa, offers engraving services for markers and monuments already in the cemetery. When adding engraving, we will match the existing engraving style. 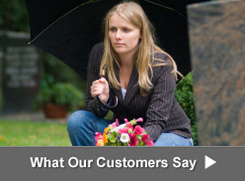 Granite engraving, etching and lettering services to add names and dates are provided on-site in the cemetery. There is generally no need for the memorial to be removed. 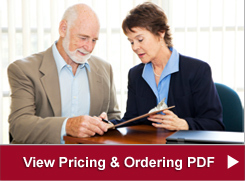 Orders are typically completed within 60 days. A statement will be mailed to you upon completion so that you'll know the work has been done. 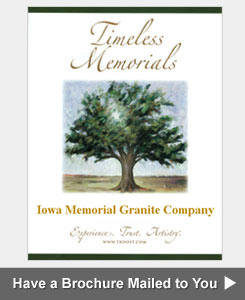 To order on-site engraving, please contact Polly Geurink by email at iowamem@machlink.com or by phone at 563-263-5484 .